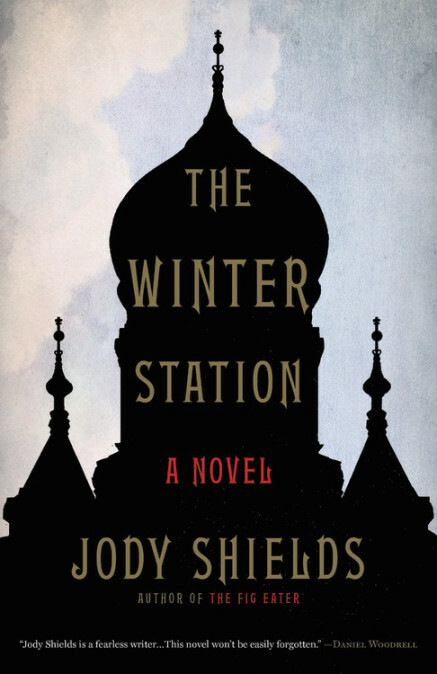 The following is from Jody Shields’s novel, The Winter Station. Based on a true story in Russian-ruled China, people are dying from a deadly plague and disappearing before the city commissioner can investigate. Jody Shields’s previous novels include The Fig Eater and The Crimson Portrait. When Andreev said two bodies had been discovered outside the Kharbin train station, the Baron had an image of the dead men sprawled against snow, frozen in positions their bodies couldn’t hold in life. His focus sharpened on Andreev’s face, faintly pink, only the triangle of his eyes, nose, and lips visible surrounded by the rough hood of his sheepskin coat. It was noon and the sun already cast the faint blue haze of twilight that was particular to this place in September. The sun would set in less than three hours and the temperature would hover near zero. Frozen solid and covered with snow, the bodies could have remained undetected for weeks. Or until May, when the snow melted. Or until discovered by wild dogs or wolves. “Strange.” If Andreev’s report was true, some official had given orders to the lowest-level police about the bodies. He built the scene in his imagination to block the dark chink of evidence that the investigation had happened in secret. Why hadn’t he been notified? He was the city’s chief medical examiner and a doctor at the Russian hospital, only two streets away from where the bodies had been found. He should have been consulted or signed a death certificate. He was self-conscious about his lack of information as Andreev watched him, measuring his response. It was necessary to keep up a façade in front of Andreev, to maintain the tinsel appearance of a link to powerful General Dmitry Khorvat, the czar’s administrator. The general ran the city like a private business, with absolute authority over all Russian military and civil matters in Kharbin. The Baron owed his appointment to Khorvat and kept it only at his pleasure. “Yes.” The hood of Andreev’s jacket jerked up and down in confirmation. “Were they stripped? No. He didn’t say the bodies were naked.” Andreev’s voice revealed that he was puzzled by the question, but his answer was quick, information traded for a grain of praise from the older man, an aristocrat and son of a diplomat in the czar’s service. Why two dead men near a crowded train station? A bold gamble. A risk of witnesses. There were easier places to leave bodies, as Kharbin was surrounded by the wilderness of the Manchurian plains. “The murderers must have a good alibi.” The Baron shifted his weight to keep his feet from becoming numb on the snow-covered ground. You would choose an answer that was crooked, the Baron thought. There was no point in a search, as the exact location of the bodies was uncertain. The corpse movers would have churned the snow, added their own tracks, obliterated evidence. Two deaths marked only with words. He felt an obligation to continue the questioning. “Did he notice blood by the bodies?” The Baron’s voice was neutral, but he began to wonder if Andreev himself had actually witnessed the discovery of the two corpses. “Blood? No, it would have been too dark for him to see blood on snow. It was after three o’clock.” He exhaled. Andreev’s breath wreathed around his head, and the Baron silently noted this indication of tension. In Manchuria’s harsh, cold climate, the breath was a visible sign that betrayed emotion more immediately than words. “True. We lose the light early these days.” He scrutinized the other man’s face for a moment too long and Andreev looked away, breaking eye contact. The Baron would never have associated with Andreev in St. Petersburg, as he was lower class, a worker. It was unlikely they would ever have met. But in Kharbin, Andreev was a fellow Russian and necessary as a servant. He located anything for a fee. The man was flexible as curved script, with barbs that extended across the city, from the furriers on Kitayskaya Street to black marketeers, suppliers for potatoes, kerosene, Krupp pistols, silk for dresses, lanolin, French wine, writing paper. Andreev bartered, bought, and occasionally stole goods. There were always shortages, as everything was imported from Moscow, St. Petersburg, south from Beijing, Shanghai, west from Vladivostok and Port Arthur on the Pacific coast. It was rumored that Andreev was a government informer, one of the numerous double and triple agents who served Russia in Manchuria, likely paid twice over for the same information about scandal and crime. Self-possessed, Andreev had the guarded single-mindedness of a missionary or someone who had witnessed great cruelty. He divined the compass that others used. “The desire for possessions, for ownership, is the glue holding us together here in Kharbin. Not courage or love of the family or the czar or freedom,” Andreev had once explained. “Even the missionaries count the Chinese in church. The number of souls saved.” His voice had been scornful. Yet he had located frankincense for St. Nikolas Cathedral to replace a lost shipment and was deeply moved when the archimandrite blessed him for his work. Andreev shook his head. “He’s safely returned to Mukden.” He looked over his shoulder nervously, although they were alone, bracketed by ridges of empty train tracks. Andreev laughed. He appreciated the joke, as Russian soldiers in their huge fur hats and stiff-skirted coats were unmistakable. His feet were numb on the uneven ground. It was useless to try to provoke Andreev into revealing more information. It was too cold. It had been a mistake to interview him outside. “That’s all the information I have for you, Baron.” Nothing fazed Andreev. The conversation had been concluded. This question and answer of Andreev’s pretended graciousness was a ritual between them. The Baron’s sheepskin mittens were thick as a towel and he fumbled, pressing several rubles into the other man’s outstretched hand. 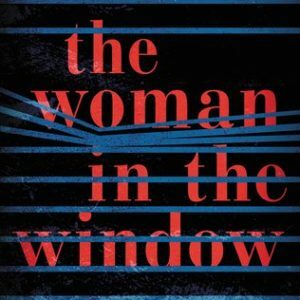 He watched Andreev’s bulky silhouette vanish into the blue shadow of Central Station. Although shivering with cold, he was unwilling to walk into the building, as the heat would dissolve his clarity of thought. He needed time to collect himself. A few minutes later, he slowly walked through Central Station, suddenly aware that he stank inside the closed animal skins of his clothing. He watched two soldiers fidgeting with the guns slung across their chests and approached them cautiously, as they were probably already drunk, though it was barely past noon. The soldiers, from habit, did not pay attention until he introduced himself as a doctor. Everyone has a complaint for a medical man. “We can manage.” The second soldier, Rakhimanov, scowled. “Gone for the moment. But trouble arrives with every train. No undesirables allowed here. Move along!” Rakhimanov slapped his gun. “That could be everyone here.” The Baron offered a flask of vodka. The soldiers laughed and greedily shared swallows from the flask. “Did you register their names?” The Baron let his eyes wander to the door, allowing his distraction to soften the question. “I don’t know. They have a cart.” Rakhimanov studied the rifle in his hand. “Don’t waste your sympathy,” said Rakhimanov. His fingers nervously tapped the handle of his gun. His evasion disappointed them. For Russian soldiers, the Chinese were faceless dogs, indecipherable pagans who deserved rough treatment. An early name for the first Russians who traveled in China was luosha, a tribe of man-eating demons. The Baron wished the men luck. Distracted, he moved across the cavernous, dimly lit station, misjudging distances, gently colliding with travelers in bulky padded coats, the physical contact as muted as if he were walking underwater. Heat radiated from the massive white-tile stoves in the corners of the waiting room. A group of Russians stood near a wall, crossing themselves in front of an icon of Saint Nikolas, the city’s patron saint. The bank of small candles below the icon, wavering at every movement, were the brightest spots in the space. It was against protocol that the sick hadn’t been taken to the hospital where he was in charge. City bureaucracy had been circumvented, but by whom? Someone had given orders to remove the two dead Chinese from outside the station. Were the bodies and the passengers detained by the soldiers linked? Was he the only official who hadn’t been notified? Since this had been deliberately hidden from him, he couldn’t discuss it with General Khorvat. Perhaps the general was also in the dark. Was the search for sick passengers a screen for another purpose? It reminded him of the secret police in St. Petersburg. After threats were made against the czar, the police searched residences and businesses, supposedly for illegal church literature from Baptists and Old Believers but actually for evidence of bomb-making. His speculation produced nothing but a clumsy half-drawn picture. He left the station and was slammed by cold air. Outside, the snow’s dizzying progress was measured by its sting against his cheek. Later, he finished a cup of tea standing by the window in his office, purely a habit, as there was no view. The double glass panes were filled with white sand as insulation from the cold and remained opaque until May, when snow first melted from one side of the immense tile roof of Central Station. At home, he didn’t share the day’s events with his wife. Li Ju turned to him when he entered the room, as always, invariably looking up from her embroidery, a book, or a game of mah-jongg, ready to change the direction of her day for him. He would insist that he didn’t wish to disturb her but was secretly pleased. Other women had turned their eyes to him in calculation or desire but her attention was a bouquet. Her face tilted up to him and the water in the silver bowl reflected the curve of her cheek and for a moment the two balanced shapes filled his eyes. An older woman might have whispered an intimacy, but Li Ju simply smiled, transparent, acknowledging his admiration. As a very young girl, Li Ju had left a missionary orphanage to work as a servant in the Baron’s household. She accepted his care with a child’s straightforward happiness. She lived under his roof, slept on a small mat of wadded silk and cotton for years before they became lovers and shared the k’ang bed. When she became an adult, his expectation was the same. Nothing changed. The habit of days. He didn’t believe devotion was a debt owed to him for providing her with a home but he had become accustomed to her deference. That night, he was jolted awake and sat up in bed. He was swept with shame. Two men had died violently and he had shaped it into a story about his own authority. His place in the world. “Mother of God,” he whispered and crossed himself. But he was haunted by another image, dark and jagged. The dead Chinese could easily have been thrown in the Sungari River and their weight would have broken the still-thin ice, the thickness of two fingers. Then he wished that this had been done, that the bodies were in the river, and he imagined this as if he were drowning, looking up at the sky through the ice one last time, his eyes already liquid. In the morning, the Baron and his wife lit a candle for the dead at St. Nikolas Cathedral on Central Square. Their hands cupped together around the warm candle and the flesh of their fingertips glowed translucent pink. His wife was not a believer but the ritual of contemplation was familiar to her. She tipped her head back and her face was suddenly hidden in the darkness. The building was an immense shadowy height above their heads, its bulb-shaped domes, the lukovichnye glavy, were compact as a hive, made with countless wood shingles overlapped against the Manchurian wind. The entire structure was built without a single nail, joined together with minute wooden pegs so that no pinpoints of reflected metal disturbed its dim interior. Perhaps its peaceful assembly, the lack of violent hammering, was an offering to God. From The Winter Station. Used with permission of Little, Brown and Company, New York. Copyright © 2018 by Jody Shields.